As Holy Week begins and we celebrate Our’s Lord’s surrender to the will of His Father, let us ponder the depth of our own surrender to His will by reflecting on the message contained in this beautiful poem. 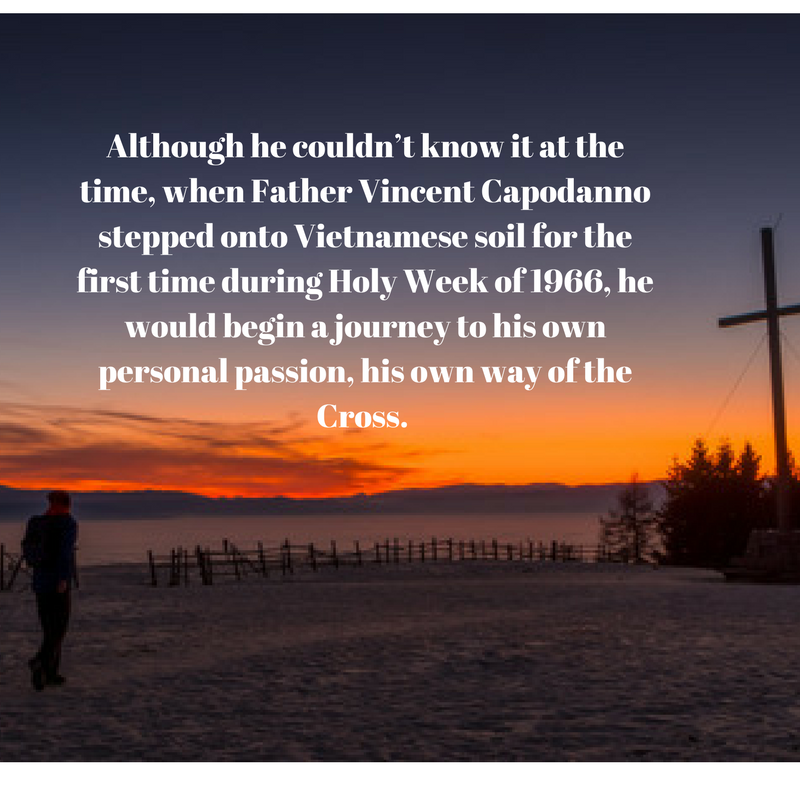 As a Lieutenant in the U. S. Navy Chaplain Corps, Father Vincent Capodanno finally reached a much-anticipated goal, arriving in Vietnam during Holy Week, 1966. While he couldn’t know it at the time, stepping onto Vietnamese soil initiated his journey to his own personal passion, his own way of the cross, at the same time that the Passion of Jesus was being commemorated.